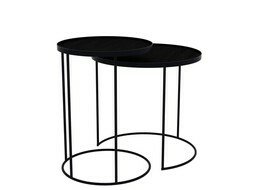 Capturing the beauty of your environment on the reflective surface of the coffee table set, the distinctive pair plays with the illusion of space while giving it a contemporary touch. 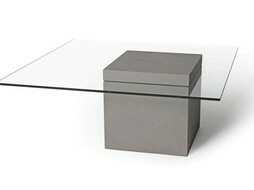 The placement of heavy aged mirror atop the coffee table makes the set a true reflection of your artistic space and sensibility. 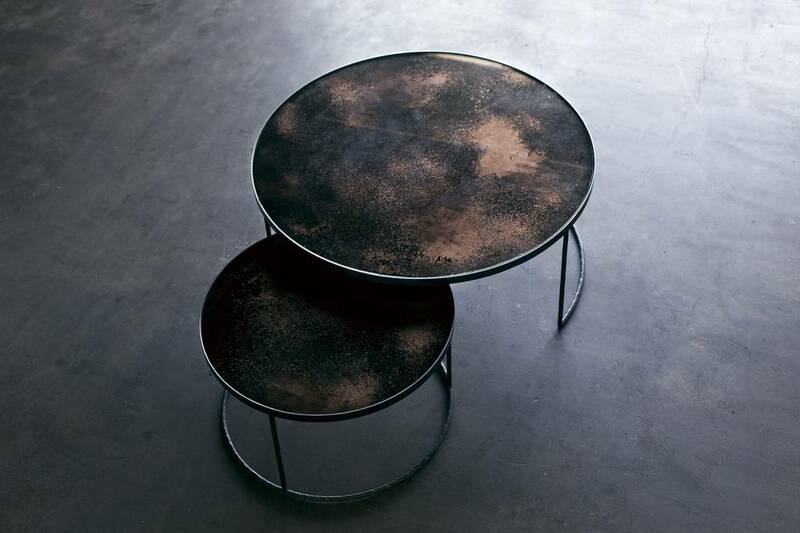 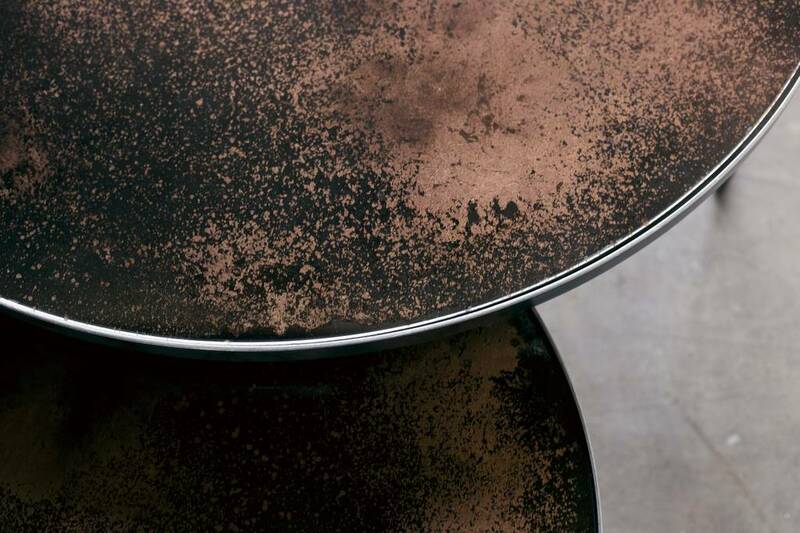 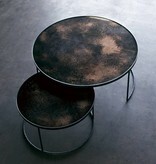 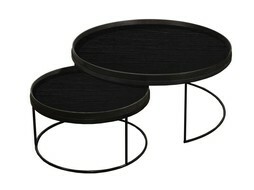 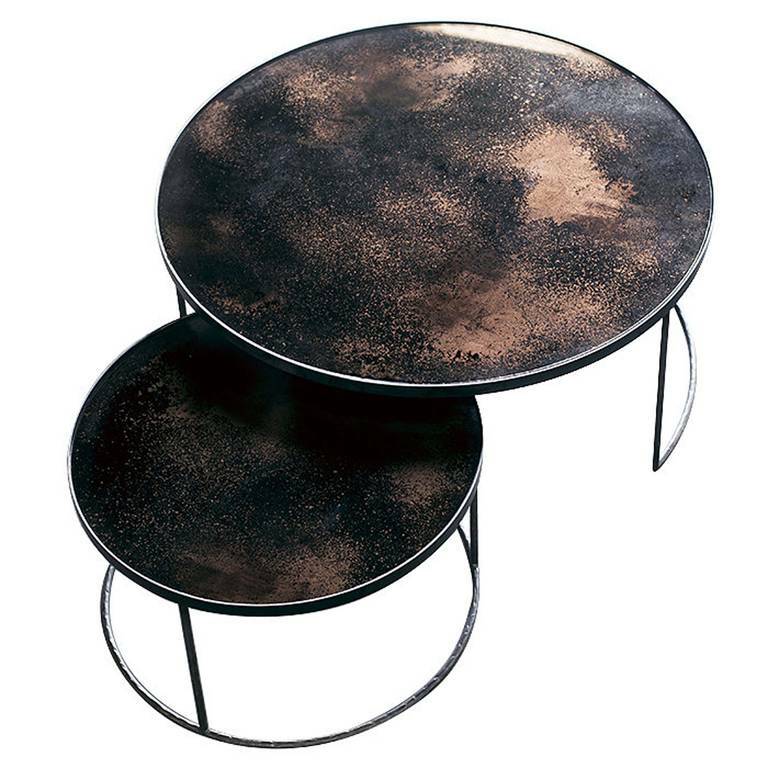 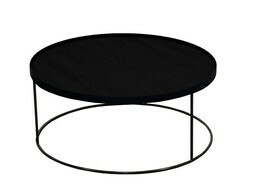 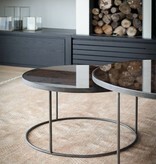 Add glamour to any room with these two round nesting coffee tables by the brand Notre Monde. 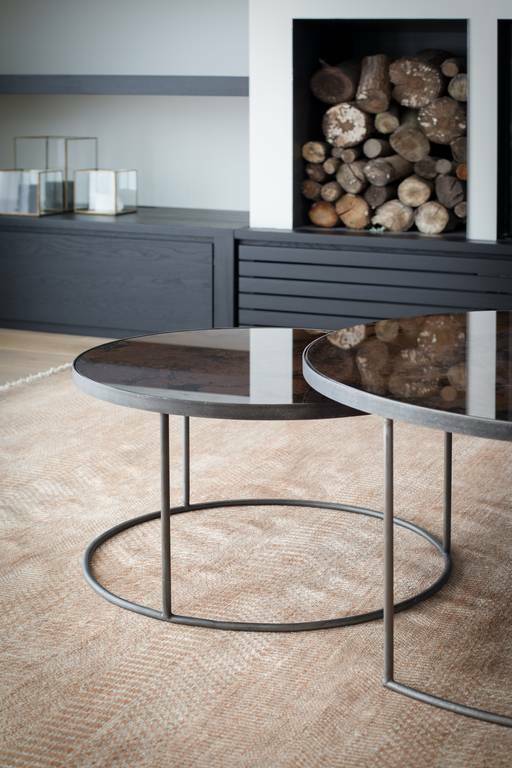 Including two coffee tables wich nest perfectly together when the smaller table is not in use, each table is on a striking round base. 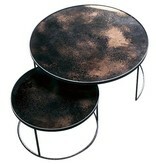 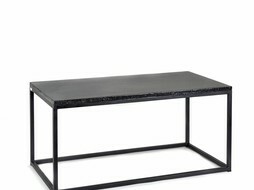 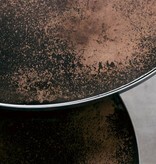 The tables will infuse any room with industrial chic and there are more stylish designs available in our shop.